Epigenetics is the science that shows that we do not need to be victims of our genetic inheritance. 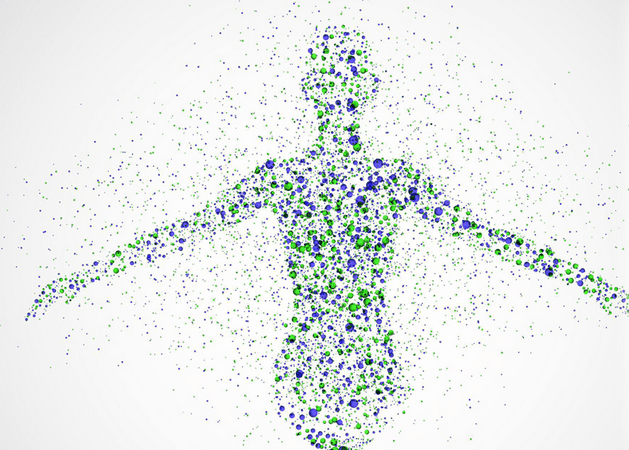 The Human Genome project was expected to confirm the existence of over 100,000 individual genes. However, it was discovered that only 23,000 genes make up the human genome, barely more than the common fruit fly and far less than those found in a grain of rice. This raised the question of what else could be controlling gene expression? The answer is Epigenetics, which is the interaction between environmental signals and the process of adaptation that living systems use to thrive. Back in 1700’s Jean-Baptiste Lamarck proposed that life forms could acquire ‘information’ from their environment and incorporate it into their epigenome. Quantum Physics was incorporated into the field of molecular biology by Erwin Schrödinger to set the basis for what we now know as epigenetics. Today, we know that gene expression that is not mediated by coding DNA, representing only 2% of the genomic expression. It is instead influenced by informational signals received from the environment by non-coding DNA, which represent the remaining 98% of what is referred to as junk DNA. Harmful signals are emanating from the environment cause disharmony, so the human body responds accordingly changing the phenotype without altering the genotype. This change is reflected in our physiology. These signals include information from the air we breathe, the food we eat, the impact of the electromagnetic environment and even the 50,000+ thoughts we have per day.